MOONIE Icy Tunes, Washington's Premier Mobile Ice Cream Caterer is proud to announce its GOLD Sponsorship of New Moon Farm’s 2016 Goatalympics on July 9 at the Evergreen State Fairgrounds in Monroe, Washington. MOONIE Icy Tunes, your premier mobile ice cream caterer is proud to announce its’ sponsorship of New Moon Farm’s Goatalympics. 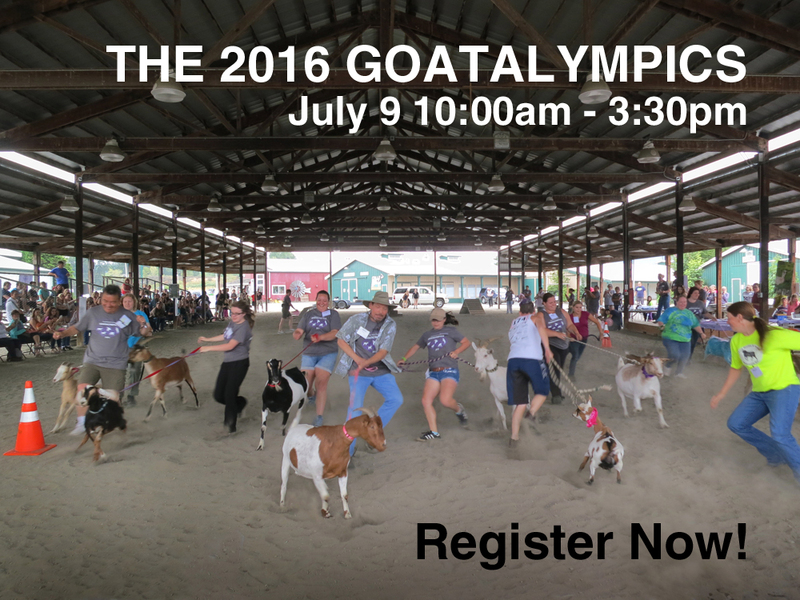 The 2016 Goatalympics will be held on July 9 at the Evergreen State Fairgrounds in Monroe. Held annually, this free, family-friendly event is ridiculously entertaining! Come watch goats and their people compete in foot races, obstacle courses and more. In addition to being a fun celebration of goats, the Goatalympics is the primary fundraiser for New Moon Farm Goat Rescue & Sanctuary. Sharon Crosetto, Owner of MOONIE Icy Tunes, recalls how goats were an important part of her childhood, and applauds New Moon Farm’s work to provide fun and educational opportunities for people to meet, interact with, and learn more about goats. The company’s sponsorship recognizes New Moon Farm’s hard work, and the work of their volunteers to support the rescue, rehabilitation and adoption of animals in need. Together, we share the goals to promote compassion and respect for all living things. New Moon Farm’s safe, fun, and family friendly events align directly with our goals to also provide fun and enriching experiences to all our customers and their families throughout the Puget Sound region. We invite you to join MOONIE Icy Tunes in supporting New Moon Farm at the Goatalympics in Monroe this July 9. More information can be found at: http://www.goatalympics.org/ and http://NewMoonFarm.org. For all your ice cream needs, please visit http://moonieicytunes.com.